Do your kids love going to see a Cincinnati Reds game? We all know that one of the best ways to kick off summer is with a fun family event. For many families in our area, nothing is better than going to downtown Cincinnati and seeing a game. Of course, one of the biggest concerns to many parents is making sure that kids enjoy the game and the entire experience, especially if it is their first baseball game. 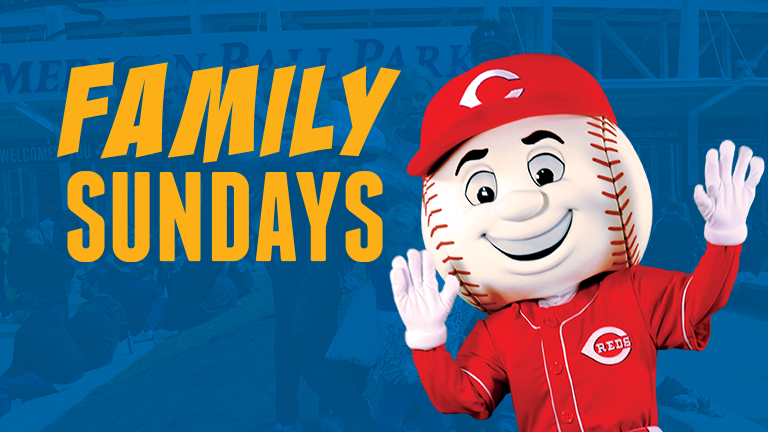 Luckily, Klosterman Bread is making it easier for families everywhere with Family Sundays at every Cincinnati Reds Sunday home game this season. With all these fun activities, it’s easy for local families to have a fun-filled day at the ball game. Klosterman’s is excited to be helping families all over Cincinnati and the neighboring area have fun together in a wholesome environment. Want to say thank you to Klosterman Bread for this awesome event? You can find the full selection of Klosterman’s bread in your local Kroger store if you live in the Cincinnati area or the surrounding region. To learn more about their fantastic bread and where you can find it near you, make sure to head over to the Klosterman’s website. We are certain you won’t be disappointed with this yummy bread! Want to learn more? Check out Klosterman on Social Media! We lived pretty far from Cincinnati, but I can say our family really enjoys our trips to the local ball park. They love the game itself, the people, the activity, and the stadium food! Discount programs like this one really help make it manageable for us! We dont have a pro ball team here but have been to the Cardinals games. We went back in the 90s when McGuire was hitting all the home runs. It is nice they have discounts like this.